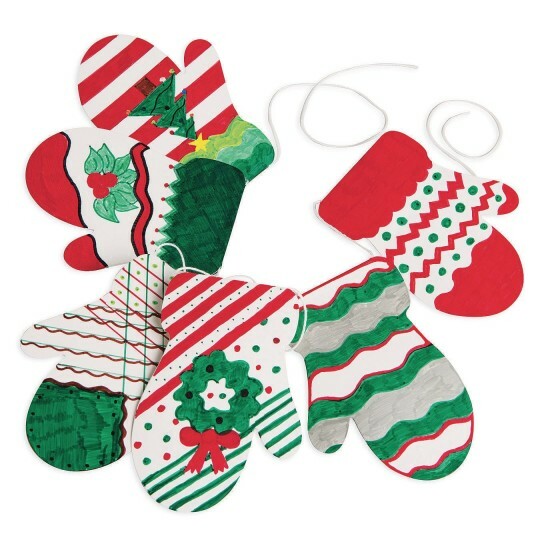 Perfect for holiday or winter crafts! 3 pairs of mittens hung on a string. 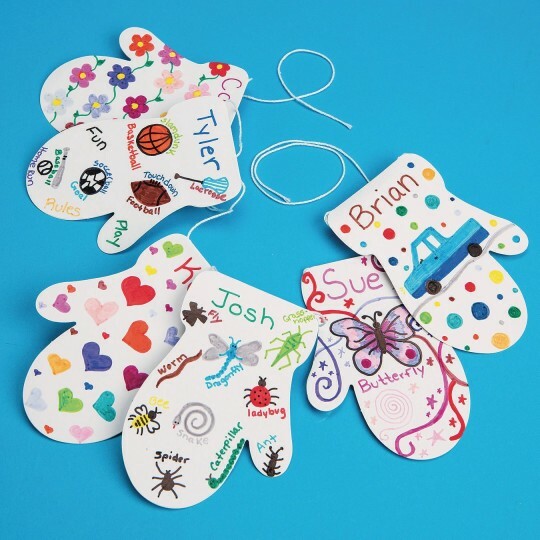 Perfect for group activities - tie all the strings together for a fun room decoration! Decorate with markers, paints, foam stickers, and more. Decorating supplies sold separately. Mittens measure 3-1/2” x 5” each and each string is approximately 55” long. White cardstock. 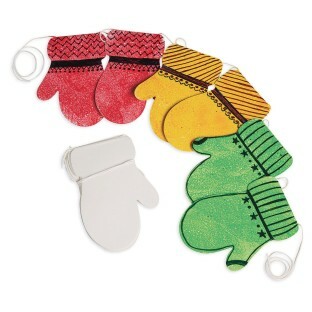 Pack of 24 strings (3 pairs per string) total of 72 mittens.